151 points will be rewarded to you when you buy this item. This is one of the favorite designs of nose pins for women and this is very simple yet elegant. Round-cut diamond design 0.1 CT make this Nose pin a must for your collection. On Sale is Rare & Unique Handcrafted Natural Diamond nose pin. We have diamond nose pin for all occasion Everyday wear/ Marriages / Bridal Western Style / Bridal European Style/ Bridal Indian Jewelry / Bridal Asian Style. It sheer elegance grace & beauty enhances the beauty of the wear. 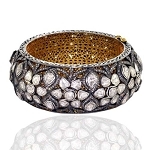 We at our Online Retails shop in US also offer customization of products in Diamond, Gold Purity, and Gold Color.